Children with ADHD (same as ADD or Attention Deficit/Hyperactivity Disorder) often have difficulty with social development. We know that the cortex of the brain in an ADHD child may be three years behind his or her peers; this is very significant when you look at the social development of these children. Think about it for a moment – this means that an 8-year-old in 3rd grade may have the social skills of a 5-year-old in kindergarten. Imagine how this gap becomes even more noticeable in middle school or high school. Medication, behavior modification, and many forms of psychotherapy usually do not help ADHD kids improve their social skills. It takes a “coach” to recognize a child’s lagging skills that are making it difficult to learn social skills, as well as identify specific social settings where the difficulty occurs, thus helping the child to learn and apply those skills successfully. Some research indicates that the best coach may be an informed parent who is being guided by a professional to help their child. While social skills groups might be helpful, there is a lot of evidence that one-on-one coaching works best. When seeking out a professional to work with you and your child to improve behavior, be sure to ask them about how he or she addresses social skills. They should be able to tell you what materials they use and how they will work with your child to help them develop specific skills in therapy sessions. With younger children, teaching some of these skills during play therapy can be helpful. A therapist should also encourage parents to learn the material (usually tips and scripts along with materials to help a child accurately identify feelings in others) so that parents can coach and reinforce the practice of these skills at home and in other social settings. When children have difficulty with social skills, it’s reflected in a number of ways, including low self-esteem, avoidance of social situations, resistance to going to school, preferring to play with younger children or hang out with adults, being bullied, or being a bully. Adults often mistakenly attribute the lack of social skills development to other causes. The observation of a child interacting with his or her peers will help to identify social skills. 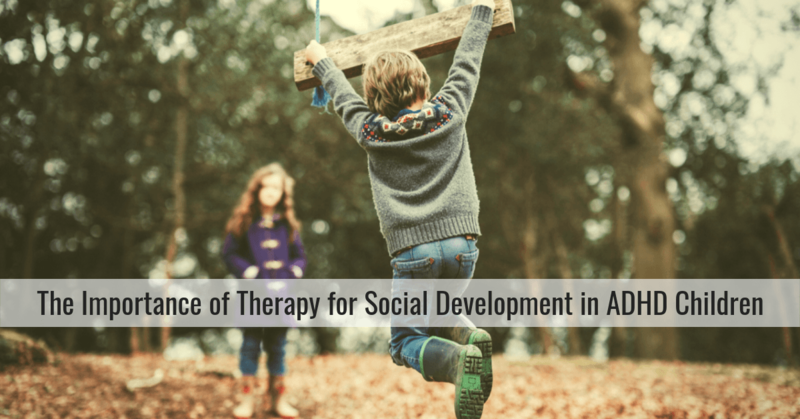 There are more formal ways to assess social skill development that can be conducted by a school psychologist, counselor, or speech/language therapist. The primary use of labeling (diagnosing in the health professions and classification in the educational setting) is about getting payment or funding for services. To truly help children, we have to get past labeling and develop a full understanding of the unique set of strengths and obstacles that each child has. Since children will often deny problems with kids at school either because they are embarrassed or because they don’t recognize they exist, parents need to do a little detective work if they suspect social problems. Talking to siblings who attend the same school, observing your child at school or a playground, talking with teachers or other school professionals, asking other parents, and consulting with your child’s mental health professional are the best places to start. Seek professional help when you think it’s necessary. Get referrals from school, your pediatrician, your local CHADD chapter, a university-based child psychology or child psychiatry program, or go online. I have found these books about social thinking to be very helpful. This link will take you to a collection on Amazon.com where you will also find materials by my other go-to source, Dr. Jed Baker. Don’t worry! With the proper resources, time, patience, and encouragement, children who struggle with social skills can be helped and begin to enjoy and benefit from social relationships with their peers.